Sarin is one of the strongest toxic substances. When ingested in high concentrations it is fatal. Sarin gas was invented for military purposes as chemical weapons of mass destruction. Since 1993, it is prohibited to use. Sarin was found in Germany as a result of numerous experiments, the scientists with the aim of obtaining pesticides. But on the eve of the Second world war, the substance has got into a chemical laboratory, where, on its basis, began to develop chemical weapons. Sarin is a liquid (ether), odorless, transparent. Readily miscible with various organic solvents and water. At room temperature of 18-22 °C, the fluid acquires a weakly perceptible smell of blossoming Apple trees. Sarin instantly goes from a liquid to gaseous state. By evaporation it also has no odor and color. The substance is not stable in the environment. In the winter the air its concentration is 2-3 days in summer – a few hours. Sarin is a poisonous substance, which has nerve effect on the body. In any contact with a man leads to severe poisoning. The most dangerous inhalation way. Inhalation the average concentration of the substance the negative effect occurs within 2 minutes, that is manifested by acute respiratory failure and mydriasis. When the penetration into the respiratory tract of large doses of sarin death may occur within 1 minute. Sarin is equally dangerous when skin, mucous membranes or into the stomach. The main target of sarin is a Central nervous system. Gas effect on stimulating the transmission of nerve impulses to internal organs and muscles. There is a continuous process, until the complete exhaustion of the nerves due to their hyperactive state. Effect of sarin on humans is General and local. 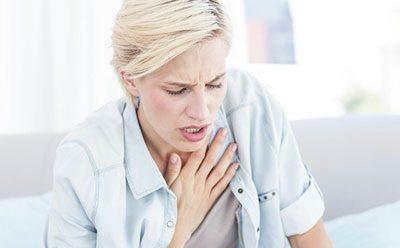 First under the action of substances mucous membranes, a person has seen serous nasal discharge, due to the increased formation of mucus in the bronchi appears shortness of breath, feeling of stuffiness in the chest. In the oral cavity by lesions of the receptors increases slovoobrazovanie. mental disorders and emotional instability, neurotic outbursts, depression or lethargy, nightmares. Symptoms of lesions of the eye – a sharp contraction or dilation of the pupils, which is not always evident equally in both eyes, a sharp pain in the forehead, impaired focus eye, reduced visual acuity, blurred. Conjunctiva (the mucous membrane of the eye) becomes of a bright red colour. Symptoms of lesions of the gastrointestinal tract is belching, heartburn, nausea, vomiting, discomfort and heaviness in the abdomen, in severe cases, acute colicky attacks in the abdomen. Then attaches diarrhea, there are false desires to the bowel. In severe cases of poisoning observed involuntary defecation. fasciculate – reduce one or muscle groups. In severe cases, death occurs from spasm of the respiratory tract and suffocation. Sarin is a potent toxic compound that causes the human body to irreversible consequences. It is therefore important to know the methods of providing first aid to prevent serious consequences of intoxication. 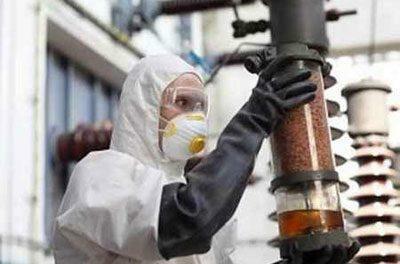 Most importantly, to prevent the development of severe forms of poisoning, when death is inevitable. The first thing to do is to remove victim from the affected area. Then remove from the person all the clothes, to reduce the contact of poisonous substances with the skin. Body and face of the victim rinse clean with pressurized water, if possible, the face and mucous membranes rinse with a weak solution of baking soda. The antidote to Zarina exist. It is anticholinergic drugs – atropine, hyoscyamine, scopolamine, aprofen, trihexyphenidyl. In their absence, you can use antihistamines – diphenhydramine, cyclizine, doxylamine, meclozine. The drug is administered intramuscularly in mild and moderate – up to 2 ml as a single dose, in severe cases the dose can be increased to 4 ml. The antidote administered every 10-15 minutes until signs of improvement – the restoration of pupil response to light, relief of spasms, reduction of pain syndrome. Sarin poisoning is treated in the hospital, in intensive care unit. The patient is placed in a special chamber where it is protected from external stimuli – sound, intensity adjustment of the light flow. When you receive injured doing gastric lavage with alkaline solutions to reduce the degree of influence of sarin on the body. Atropine blocks the receptors and prevents the physiological destruction of the body. Fosfororganichyeskii substances – toxogonin, pralidoxime. If applied to the first clock, to regain the physiological processes in the body. 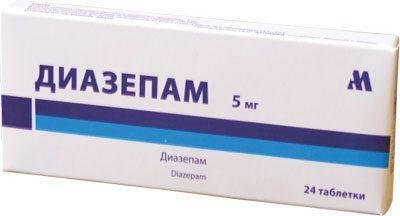 Diazepam – anticonvulsant, relaxes muscles, relieves anxiety, has a hypnotic and calming effect. It can be used before treatment. Drug quickly relieves the attacks and epileptic seizures. 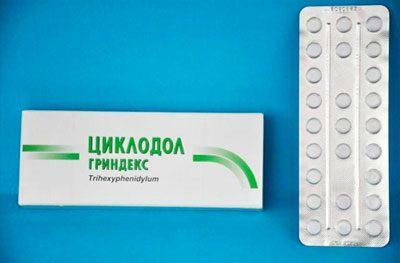 Athens or budacsik – drug for use in the field. Comes in a special syringe tube that is included with the individual kits military. Depending on the human being, symptomatic treatment. If the victim is in critical condition, perform artificial respiration. For this purpose the patient connected to the apparatus for supplying oxygen. In the case of cardiac arrest performed CPR and other resuscitation to restore vital body functions. The poisoning of the sarin is of a different severity. At low concentrations, and timely medical care provided to human health can be fully restored. At moderate severity can stay side effects. People after sarin poisoning are in need of medical maintenance of the body, but in the systematic psychological assistance. In severe cases, death occurs in the first minutes, hours or days after exposure to sarin. In this case, the pathological changes caused by the substance, are irreversible.